The British Blues Exhibition is publishing via it’s blog information on Blues across the UK. The first such post is on Kent and can be viewed here. 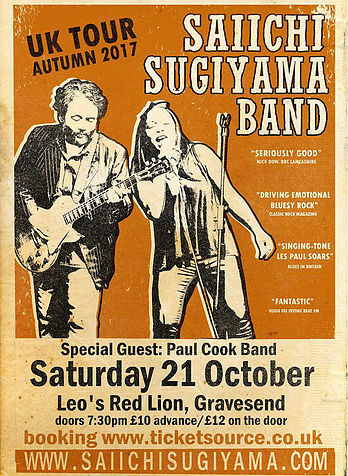 Its initial main image concerns the Saiichi Sugiyama Band/Paul Cook Band gig at Leo’s Red Lion in Gravesend on 21st October 2017.